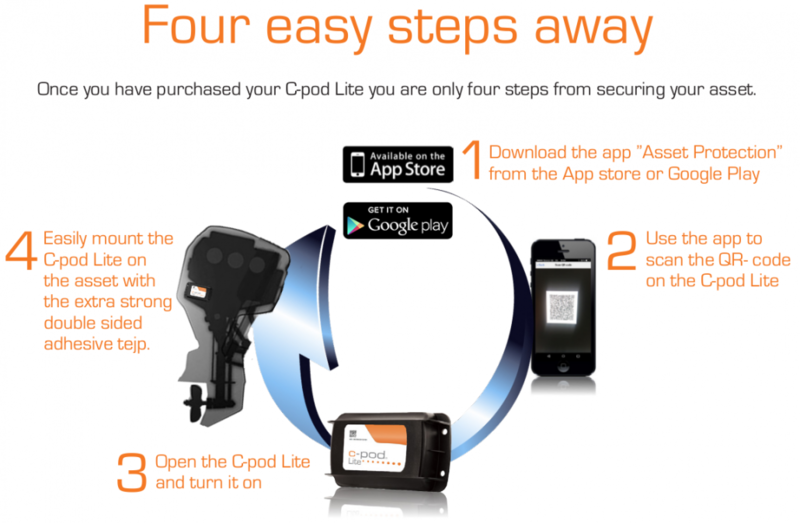 The C-pod Lite is a powerful GPS tracking device. The small unit is about the same size as a deck of cards, which makes it easy to hide, and it is perfect for tracking an outboard engine, a jet ski or any other valuable equipment. alarm recipients, turn on the device and hide the device, that’s it. A replaceable internal battery that will last for two years during normal* usage powers the C-pod Lite. The unit sends its position automatically every 6 hours and when the device updates its position outside a radius of 200m (220yd) an alarm is triggered and the device will start sending its position every 10 min. The alarm is sent via push notification, SMS and/or e-mail and the number of recipients is unlimited. 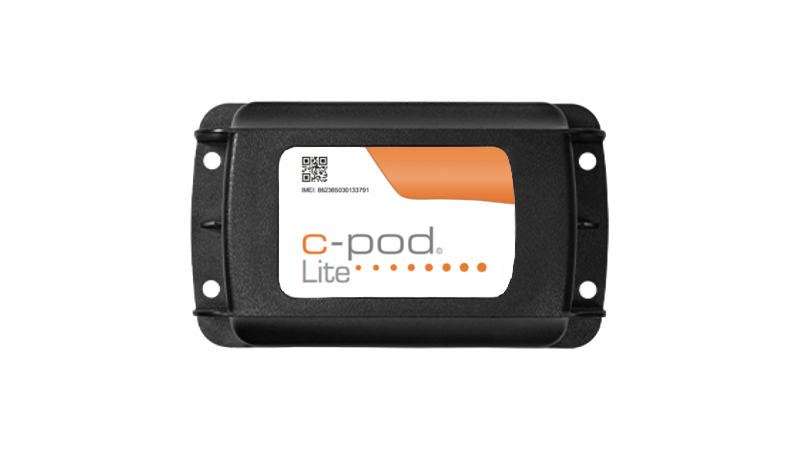 The C-pod Lite has a built in SIM-card with global coverage. *Normal usage is defined as the unit communicating four times during a 24 hours period. • Warnings and alarms are sent by push notification, text messages (SMS) and/or e-mail. • Unlimited recipients of alarms and warnings. • 18-36 month internal battery depending on settings (replaceable). • Sends a warning if the internal battery is below 20% capacity. • Controlled via your mobile phone or tablet. Reporting for five minutes, 4 reports per day. Free technical support 9-17 (CET) all weekdays. Automatic online upgrades for optimal safety and performance. Free iOS (iPhone & iPad) and Android (phone & tablet) app. Unlimited global coverage. This allows you to monitor your equipment without expensive roaming charges, no matter where it is located. The subscription is annual and paid in advance in our webshop. Please note that the C-pod Lite start kit may have been sold with a yearly subscription included. Always ask your dealer before you purchase a subscription if the first year service is included in your C-pod Lite deal.